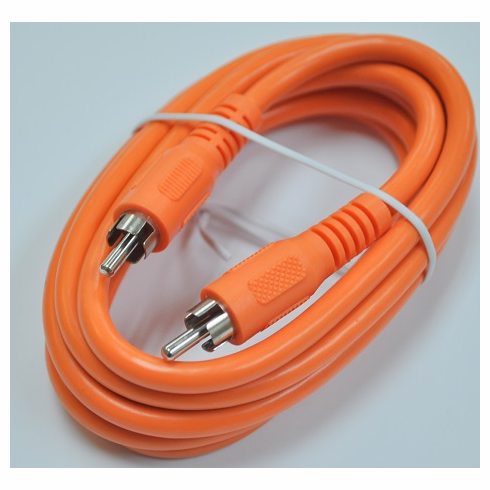 This is an Orange RCA Cable made by Steren. It is made with RG59 Coax and has nickel plated RCA ends. This cable is perfect for either Digital Audio or a Subwoofer. 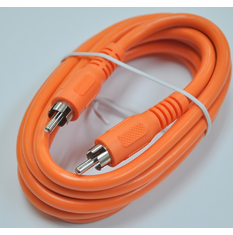 It can also be used just as a standard RCA Video Cable, or Single RCA Mono Audio Cable.